I have a subscription for Scruff Stuff beard oil, every month on the 5th day a bottle of beard oil is delivered. Last month was an oil called Marshmallow and I liked it so much that I am now left with a small amount and I don’t want to use it because I don’t want to be completely out of it. This month I recieved a bottle of an oil named “Pirate’s Breath”, I expected to be hit with a smell of Rum and tobacco but I couldn’t have been more wrong, James the creator of Scruff Stuff oils describes it as a rum-esque mix of citrus, spice and sweetness and it was described by one customer as “Jamaican ginger cake in a bottle”. I love Jamaican ginger cake but my sense of smell doesn’t pick that up, it is a sweet citrus smell with a very delicate spice smell but if I am honest, I can’t 100% describe this oil but I do know that it is incredible. Its a very light oil that doesn’t leave your beard matted and sticky, but it does add some control to my beard. James is clearly very skilled when it comes to mixing the essential oils to create a beard oil, we all think that we could produce a beard oil but working with essential oils is harder than you think, a drop or two too much or too less could be the difference between an amazing and an okay beard oil and finding out what mixes well with what must have taken a vast amount of time. 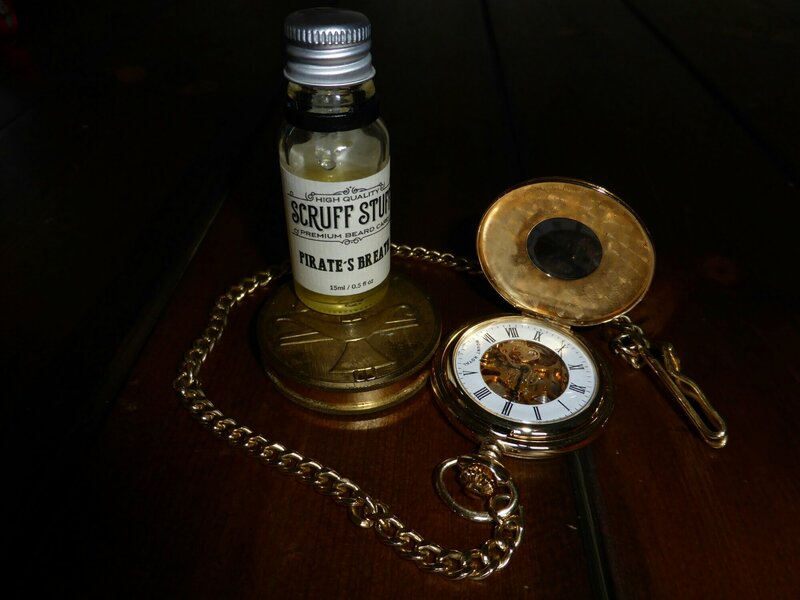 This is my second bottle of Scruff Stuff oil and once again it’s a five out of five, both oils have been expertly blended giving a perfectly balanced of aroma.